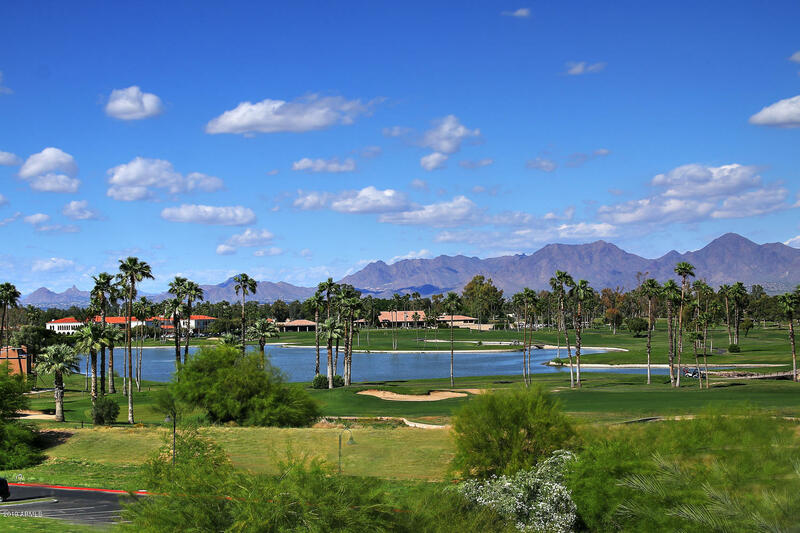 Below are listings for Scottsdale including Paradise Valley and Carefree. 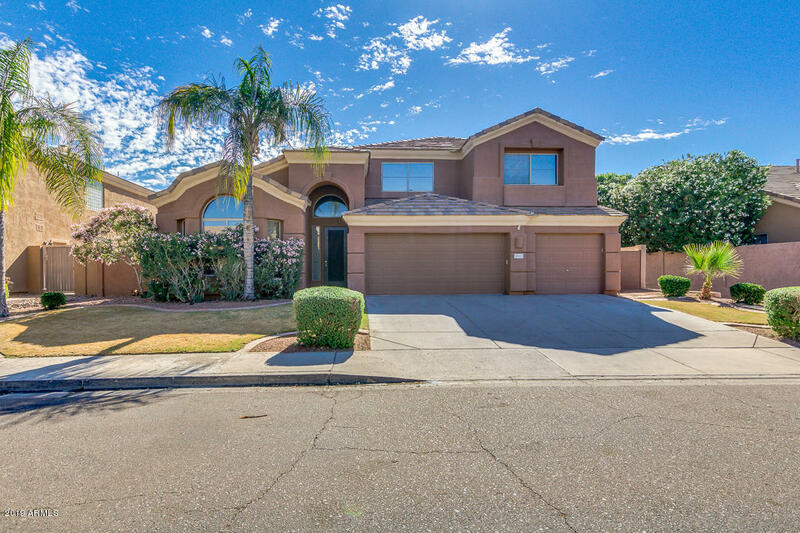 "Gorgeous, single level, home located right in the heart of McDowell Mtn. Ranch. Close to wonderful restaurants, shopping, 101 hwy, the preserves w/in walking distance, beautiful mountain scenery & much more. You feel warmth & comfort entering the spacious great room w/ porcelain wood flooring, formal dining room w/ travertine flooring, as well as capacious chef's kitchen & family room. 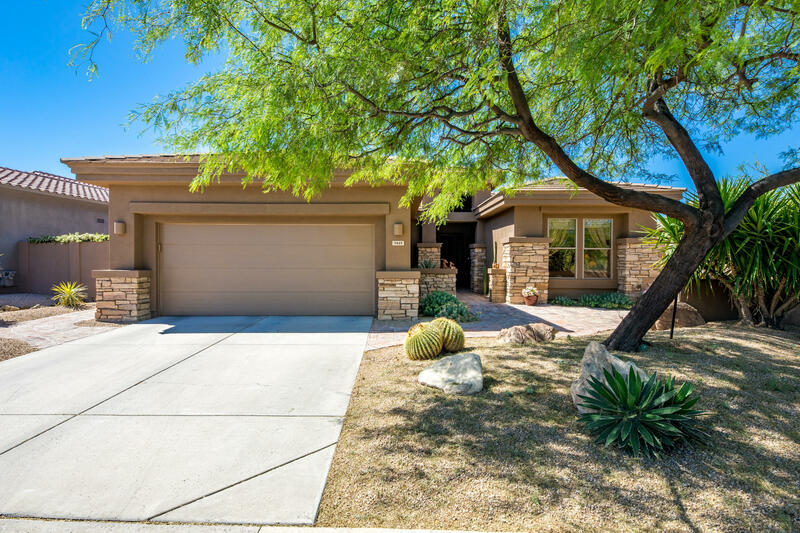 Kitchen offers all the great amenities, granite countertops, SS applicances, large center island, breakfast bar"
"Completely remodeled, move-in ready, lock-n-leave, single level home located in the desirable Sterling Place Gated Community of Scottsdale. Open floor plan with 10' ceilings, split Master Bedroom Suites including Hunter Douglas window coverings, plus additional den/office/bedroom adjacent to full bathroom. New wood-grain porcelain tile floors throughout (NO CARPET), new interior paint, and completely gutted and remodeled all 3 bathrooms - including upgraded backlit mirrors. 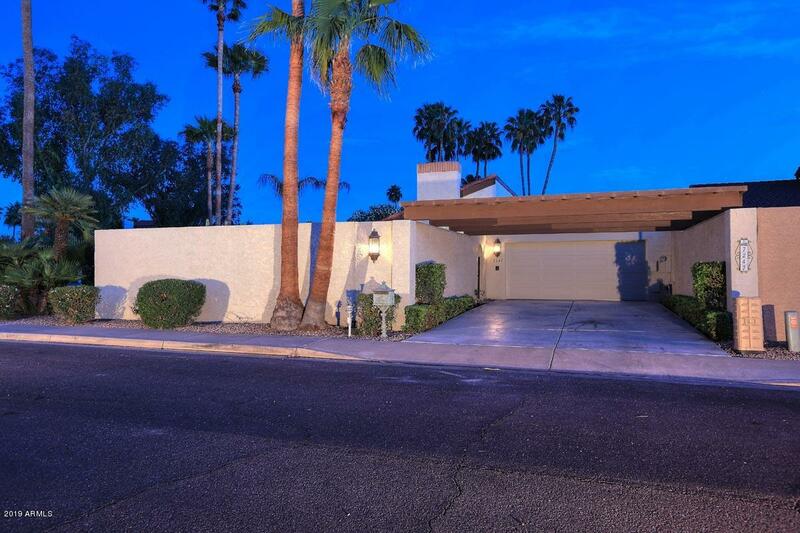 Large Kitchen has bee"
"Welcome home to the guard-gated resort community of Phoenician East. 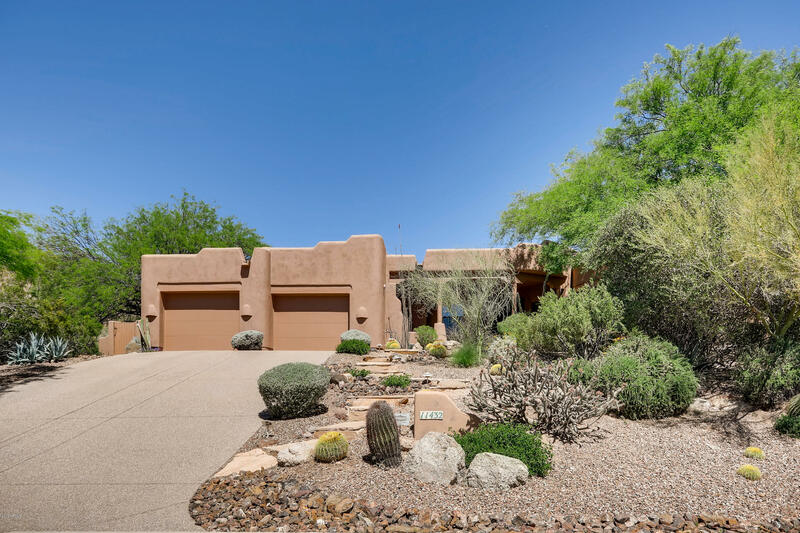 This meticulous lock-n-leave residence with golf course and McDowell Mountain views has been completely remodeled and is move in ready! The open great room floor plan features no interior steps, a wood framed and beamed vaulted ceiling, center piece fireplace, and large format hardwood floors opening to the beautifully framed dining room or den area with red and white ULine wine chillers, marble entertaining bar, custom built-I"
"Great value! 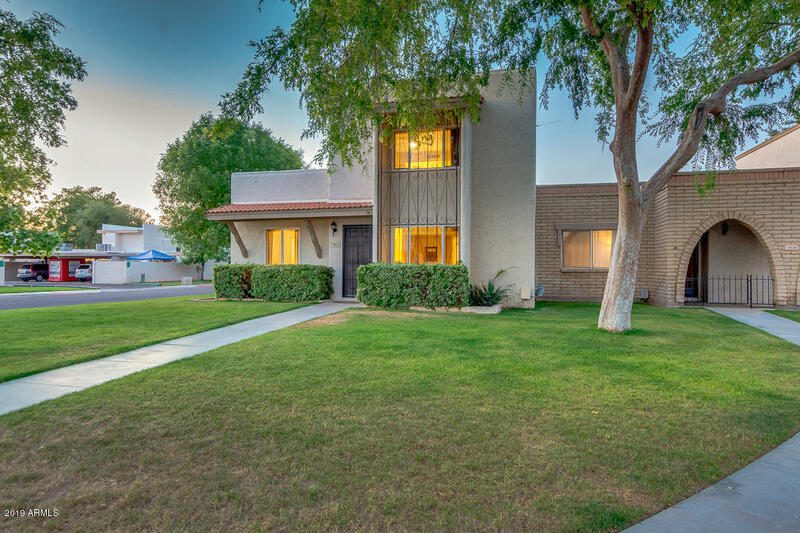 Updated Scottsdale home conveniently located within minutes of Old Town Scottsdale and Tempe Marketplace! Lovely updated bathrooms and fresh paint inside! Great grassy back yard with redwood fencing, and air conditioned building that can be used as workshop, workout, or studio space! Large covered patio and lush landscaping in the backyard. Updated kitchen with all appliances. Home has a double carport. 4th bedroom has separate entrance and is currently setup as an office! 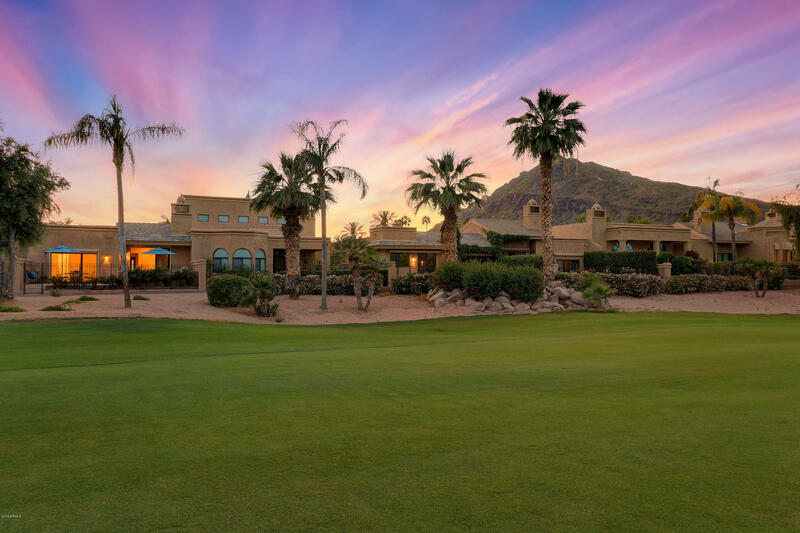 L"
"THIS TROON GEM LOOKS OUT OVER SPECTACULAR MOUNTAIN VIEWS IN THIS PRESTIGIOUS GOLF COMMUNITY,WHILE STILL PROVIDING PRIVACY. LEE HUTCHISON DESIGN. A TRUE GREAT RM PLAN THAT OFFERS FABULOUS FEATURES - LARGE VEGA CEILINGS W/TONGUE AND GROOVE IN BETWEEN, ENTERTAINMENT WALL WITH A SLATE FP,ART NICHES AND AN ENTERTAINMENT CABINET. WONDERFUL KITCHEN WITH KNOTTY ALDER CABINETS,GRANITE COUNTERS,LG BREAKFAST NOOK W/A COZY FIREPLACE. MATURE VEGETATION, A SPA W/WITH A ROCK WATER FALL, BUILT IN BBQ, AND UNS"
"Outstanding Top to Bottom Remodel! 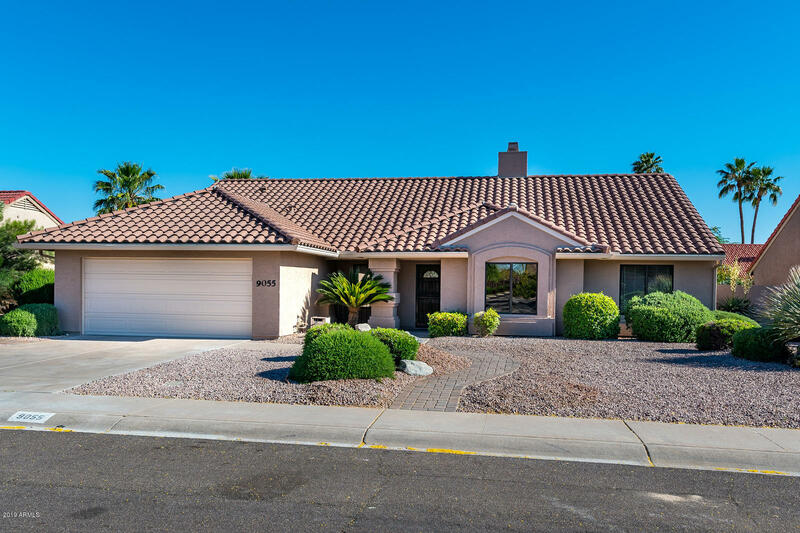 Views of the McDowell Mountains & Golf Course.Relax on newly tiled patio year round.Sleek European styled kitchen w/custom white cabinets, granite slab counters w/breakfast bar,stainless steel appliances & beveled tile back splash. Smooth Ceilings & Recessed Lighting! Contemporary new tile floors with new carpet in the master bedroom only. Master bathroom has 2 entrances, floating vanity and stylish modern walk in shower. 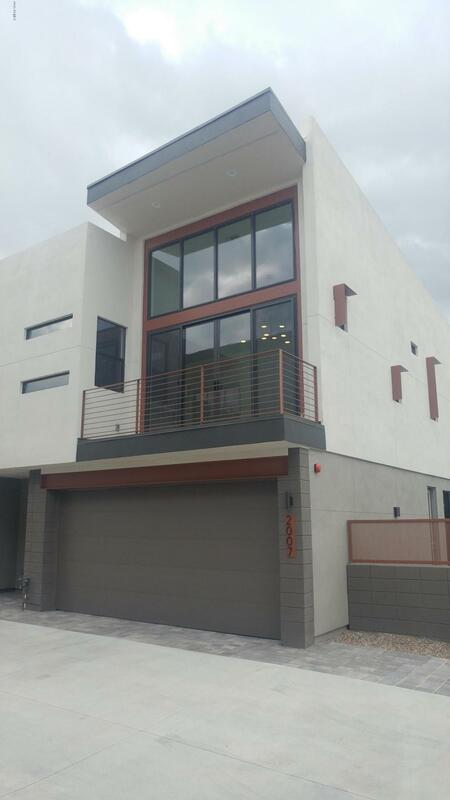 Brand New Windows & Patio Slider Door ("
"Santa Fe's popular 1,890' floor plan - 2 bedrooms &,2 baths on one level. This patio home is located in McCormick Ranch's favorite neighborhood and features all block construction, solid wood doors, lots of light, plenty of storage, large covered front porch and a private back yard with palm trees, verdant landscaping and covered patio. Updated stone flooring, light fixtures, and stainless steel appliances. Close to the clubhouse and community pool & spa. 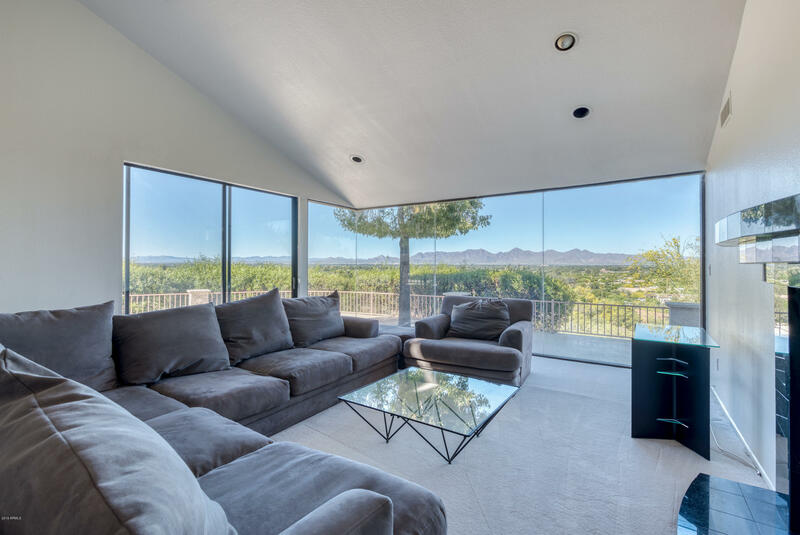 Starbucks, the Vig Restaurant & Bar, LA "
"Welcome home to lock and leave Scottsdale living elegance in this stunning 2018 fully-remodeled single-family home that makes living close to it all a quiet pleasure. Come home to high ceilings, stunning dual-pane floor-to-ceiling windows, natural wood finishes, and sleek, urban touches that grace an open floor plan awaiting your signature style. 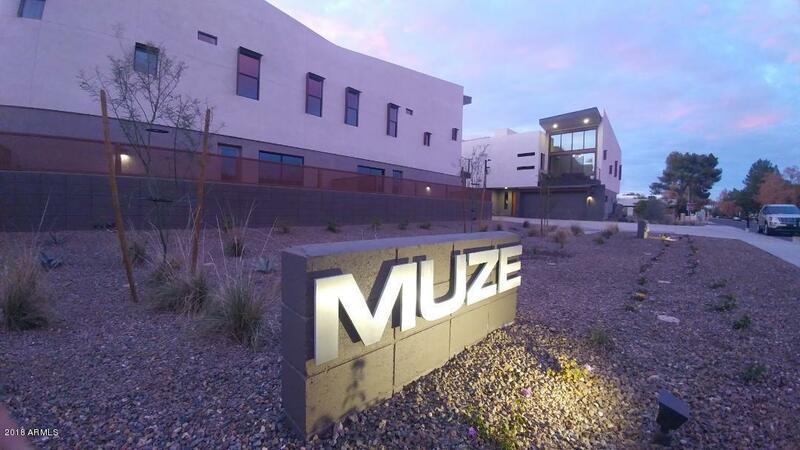 Start-of-the-art electronics and pre-wired connectivity options have been thoughtfully woven into every room of this modern expression of superior liv"
"Penthouse in Paradise Valley ~ ARTESIA ~ Gated, newer, luxury MID-rise (4) ~ HIDDEN GEM adjacent to McCormick Ranch Golf Course. SPACIOUS Penthouse - OFF the main corridor - in QUIET Semi-Private wing with wider halls - NO one above, NO one across, & just ONE side neighbor. Welcome to an AIRY open-concept great room with top floor HIGHER ceilings (shy 10 feet) ~ gorgeous wood floors ~ GAS fireplace ~ ceiling surround sound speakers ~ & balcony with STUNNING VIEWS. 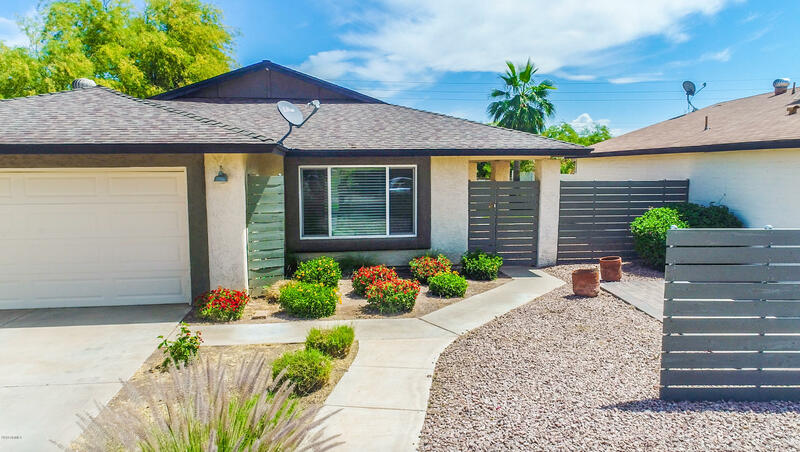 Split bed/bath ensuites "
"You WONT BELIEVE your  when you see inside of this COMPLETELY remodeled Single level 3 bedroom / 2 Bath home located in an amazing South Scottsdale Location. 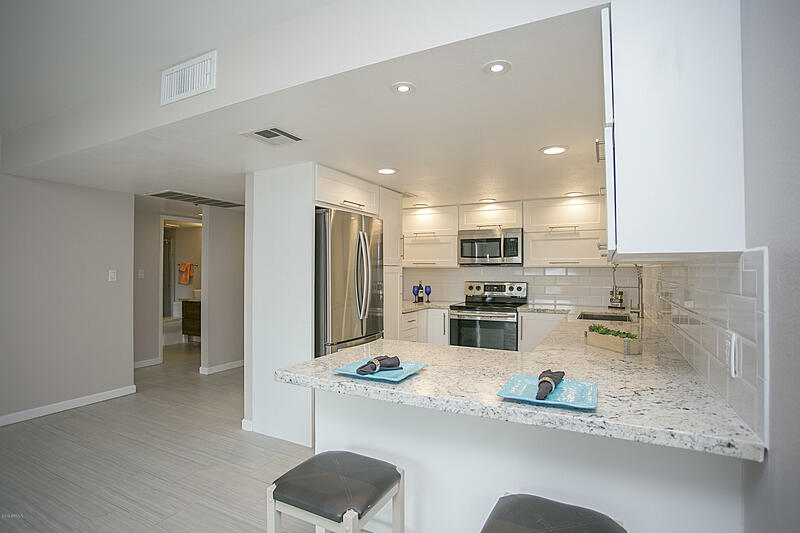 Just minutes from ASU Old Town Scottsdale, Sky Harbor, Tempe Marketplace and the 101 and 202 Freeways. No detail was spared in this home. Including a completely reconfigured Kitchen with Upgraded Granite Counters, beautiful Cabinets with Soft Close Doors, Can Lighting, Bathroom Vanities, Artificial Grass in t"
"Great opportunity to own a fantastic property in the prestigious Continental Villas! Step into this wonderful corner home to discover immaculate interior with neutral paint, tile flooring in main areas, and formal living room. Delightful eat-in kitchen showcases stainless steel appliances, plenty of storage, granite countertops, tile back-splash, and a convenient island with breakfast bar. 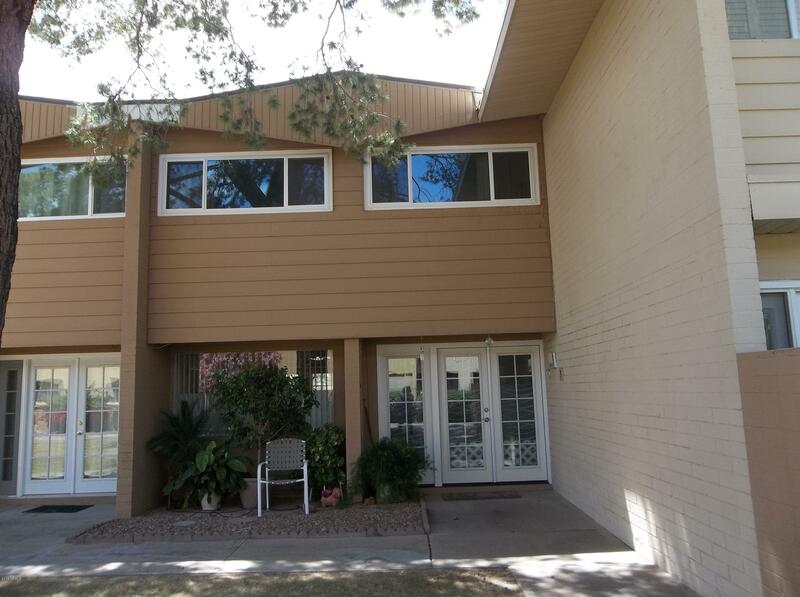 Master retreat has neutral carpet, sitting area, walk-in closet, and nice bath with two sinks. Cozy backyar"
"WOW! Spectacular New Construction. 2 story loft/townhome condominium with 3rd floor Skydeck! Ground level entrance hall, 2 guest bedrooms, guest bath, 2 car garage and private South facing backyard. Main Level Great Room/Dining room with soaring vaulted ceiling and 2 story wall of North facing windows. Very functional Chef's Kitchen with Bosch S/S appliance package, plenty of storage and GAS cooking! Laundry and Powder Bath. Bright Master Suite with oversized Spa bath and HUGE custom walk-in clo"
"Spectacular & Unique New Construction. Rare 2 story end unit loft/townhome/condo w/2 car garage! Ground level entrance hall, guest bedroom w/huge walk-in & slider to yard, guest bath, (can be 2nd Master Suite), 2 car garage, + exit to private yard. 2nd level Great Room/ Dining room w/soaring vaulted ceiling & 2 story window wall w/sliders to balcony. Very functional Chef's Kitchen w/Bosch S/S appliance package, quartz counters, GAS cooking, & plenty of storage. Laundry & Powder Bath. 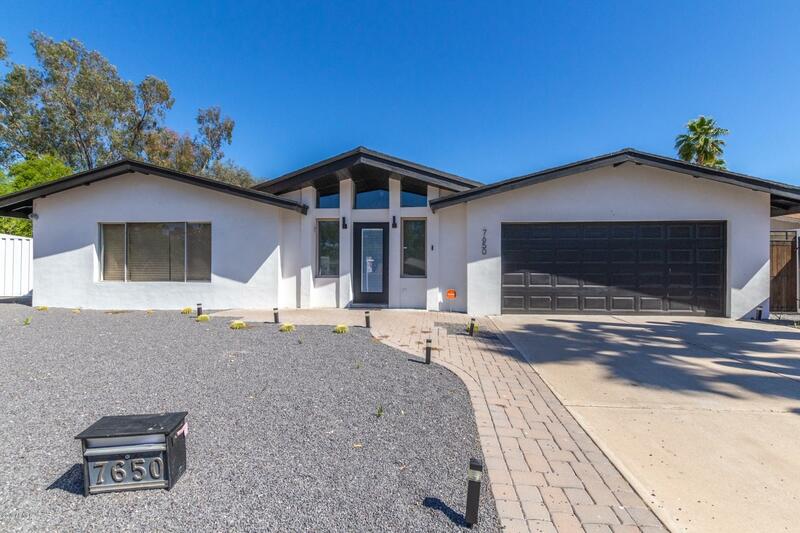 Bright Mast"
"Entertain in style in this remodeled 3BR/2BA/2CG home with formal living & dining rooms. Brand new AC - April 2019. The eat-in kitchen features an abundance of cabinets/pantry space, quartz countertops, stainless steel appliances, island with breakfast bar & opens to the family room with wood burning dual sided Fireplace. Split plan. The Master Suite has a double door entry, large walk-in tile shower w/frameless glass doors and a spacious walk-in closet. Other notable features in the home inclu"
"LOCATION! LOCATION! 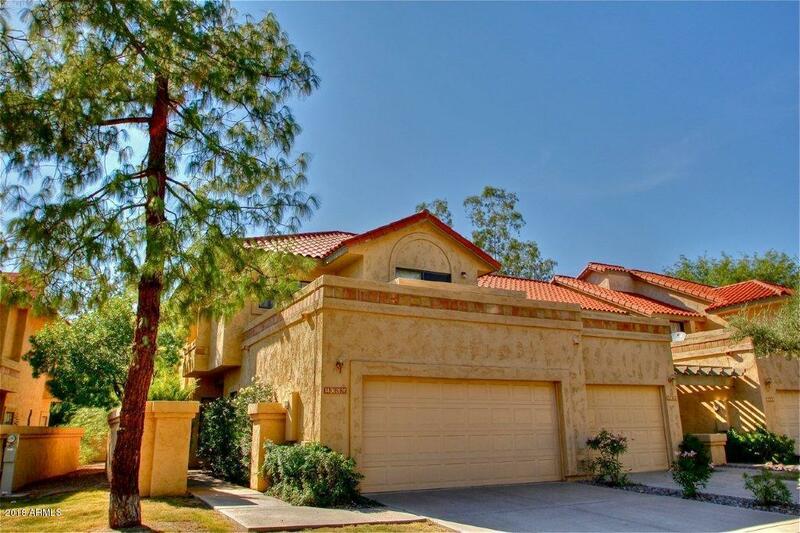 LOCATION!CLOSE TO GOLF,SHOPPING, FINE DINING & HIKING! EASY ACCESS TO THE 21 MILE INDIAN BEND TRAIL MULTI USE TRAIL. BEAUTIFUL VAULTED, BEAMED CEILING AS YOU ENTER & A COZY FIREPLACE ALL IN AN OPEN GREAT ROOM. GRANITE COUNTERS AND STAINLESS APPLIANCES IN THE KITCHEN. 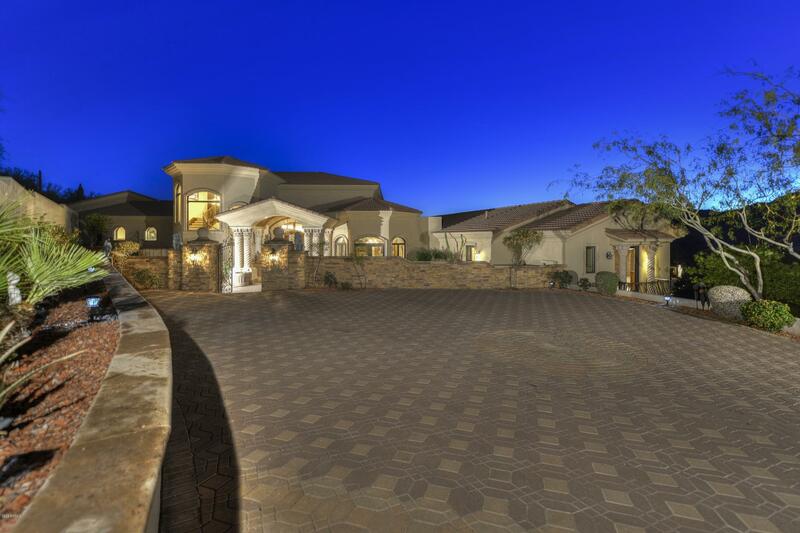 HOME FEATURES A WRAP AROUND PATIO. BEAUTIFUL TILE AND WOOD FLOORS. INSIDE LAUNDRY AND SPACIOUS 2 CAR GARAGE." "Private paved courtyard welcomes you to a move in ready home in the highly desirable Paradise Manor subdivision. Light and bright with open floor plan. Travertine and hard wood flooring throughout. Stair case with landing overlooks formal living space. Vaulted ceilings allow for a ton of natural light throughout! Kitchen features granite counter tops, stainless steel appliances, double ovens, and a display cabinet under the island. French doors lead to the over-sized master suite with 3 separate"
"LOCATION! LOCATION! CROWN JEWEL METICULOUSLY CARED FOR AND IT SHOWS! 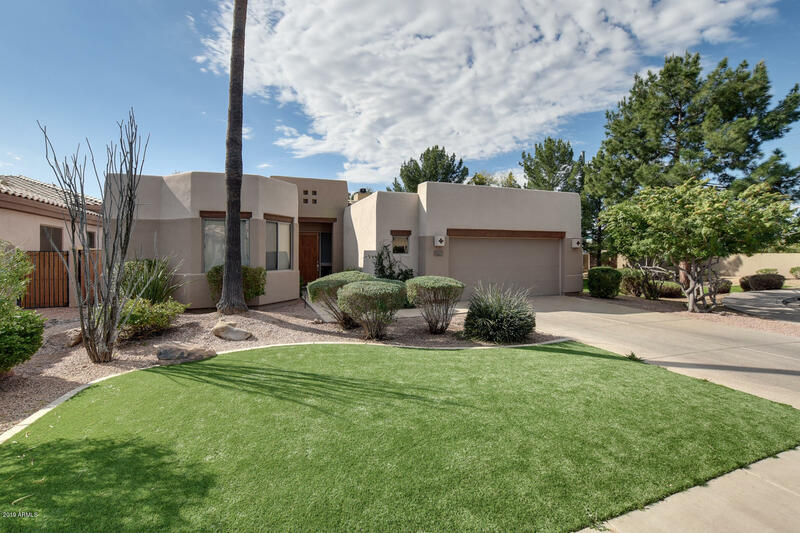 THIS VILLA ADRIAN HOME BOAST 3,033 SQFT AND YOUR BUYERS WILL JUST LOVE IT...3 BED/4 BATH / WALK DECK / PRIVATE PATIO / COMMUNITY POOL / FIREPLACE.EASY TO SHOW WON'T LAST LONG AT ALL!~"
"Come and experience magnificent resort lifestyle living in the prestigious Racquet Club at Scottsdale Ranch. Nicely updated and very comfortable three bedroom, two and a half bathroom townhome with an attached two-car garage. It has spacious patios and great east/west exposure for maximum sunlight. Perfect for a full time residence or used as a vacation home. 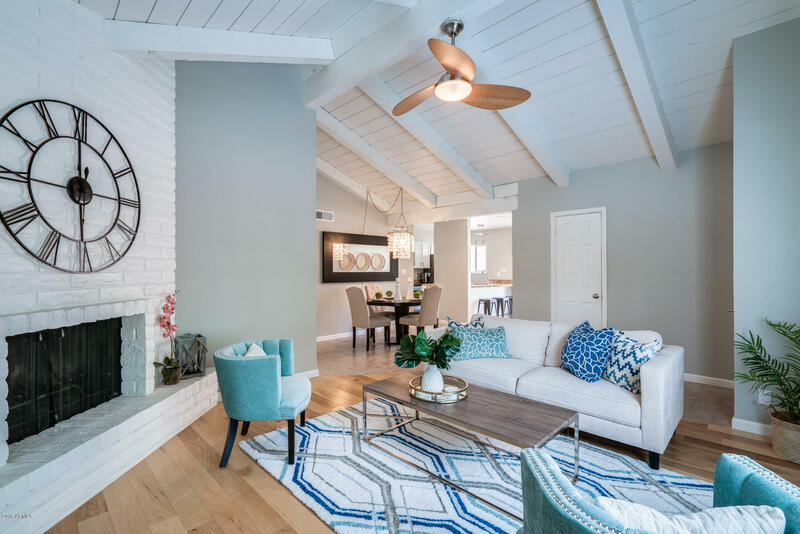 The Racquet Club offers resort style living with a 24-Hour gate attendant, nine lighted tennis courts, five pools, six Jacuzzis, clubhou"
"New Remodel! Heart of Scottsdale - Amazing location in Scottsdale 85258 - walking distance to top retail, restaurants and famed Scottsdale greenbelt. 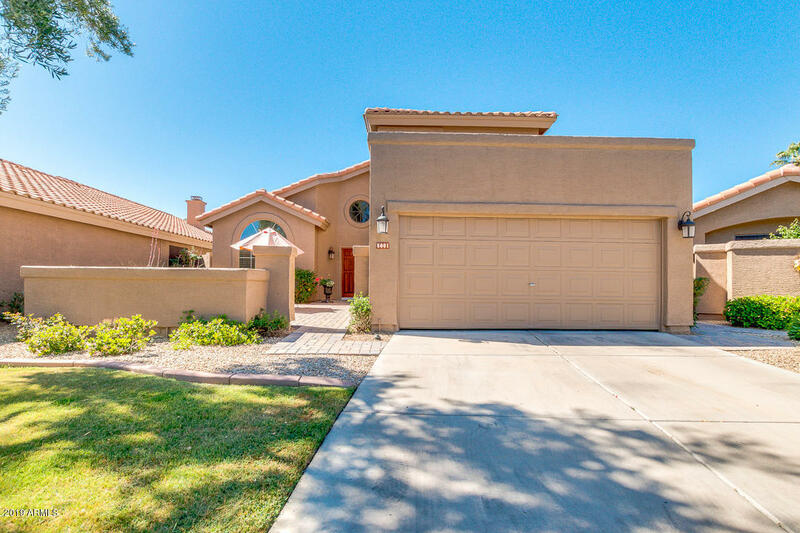 This 3bd/2ba home comes 2 car garage + pool. Home updates include new flooring, kitchen and bathroom cabinets, stainless steel appliances, full remodel to bathrooms, new roof, pool plaster and equipment, etc. Tastefully done remodel with current finishes. Spacious exterior living spaces with privacy and lots of room for outdoor entertaining." "Mountain Views and sweeping panoramic city light views await you at this beautiful European-inspired estate privately nestled on an 1.65 acre hillside lot. This estate home features custom-designed coffered & barrel ceilings throughout, gourmet cooks kitchen open to living and formal dining rooms with surround windows, private patios, new wood floors in bedrooms, 1200-bottle wine room, separate entertaining level with en-suite secondary bedrooms, private theater and exercise rooms and elevator.C"
"BEAUTIFUL REMODELED 3 BDRM CONVERTED TO LARGE MASTER AND 2ND BEDROOM. 1/2 BATH ADDED DOWNSTAIRS. PRIVATE END UNIT. LARGE PATIO WITH EXTENDED COVERING. STEPS FROM POOL & PLAY AREA. $285 MONTHLY COVERS:TAXES, BLANKET INSUR. WATER, FULL REPAIR OF A/C & HEATING UNITS, WATER HEATER, ROOFS (NEW) BUILDING, ELECTRICAL & PLUMBING IN WALLS, 7 POOLS, 13 LAUNDRY RMS, PLAY & PICNIC AREAS. CO-OP MUST BE CASH ONLY NO RENTALS ALLOWED. NO DEED OR ESCROW FEES-BUYER HAS MEMBERSHIP FOR LIFE. 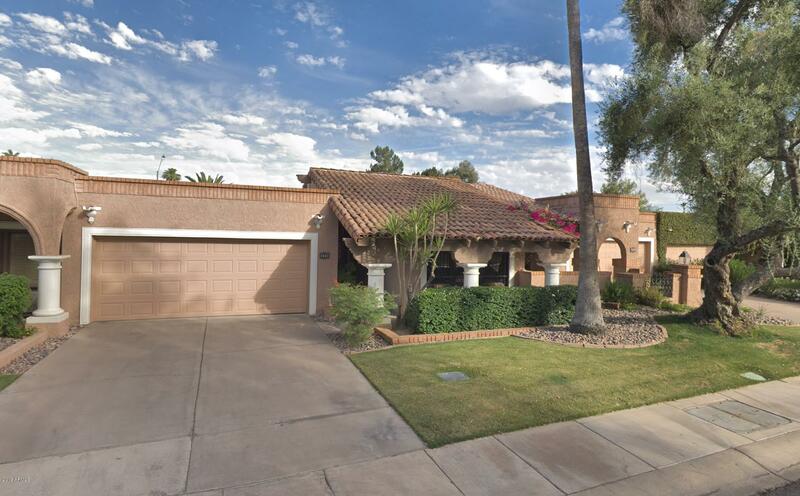 FAST & EASY BOARD & CRE"
"Incredible mountain view home located in Scottsdale's prestigious Camelot Ranch development! Totally remodeled by professional design & decor expert. Providing beautiful grassy front landscaping and 3 car garage! Fabulous interior gives you 4 bed, 2.5 bath, living/dining area, bay windows, vaulted ceilings, tiled fireplace in family room, huge loft with amazing mountain views, and large windows that bring-in so much natural light. Gourmet kitchen is complete with plenty counter and cabinet space"
"High on the eastern slope of Mummy Mt., this easily accessible home has panoramic views from Pinnacle Peak to the Superstition Mountains. The flexible floor plan can accommodate a media room, library/office, game room, exercise room and 4 to 6 bedrooms. Dramatic architectural details include a two story living room and curved stairway to the upper level. The 1883 sq. ft. master suite provides luxury, privacy and views. Make this hillside retreat your penthouse in the sky. Ready for a remodel"